The passengers returned to their homeland. In the early hours on 10 December a bus with Polish registration plates was damaged by an explosion at a hotel parking lot outside Lviv. The Foreign Ministry of Poland in a release stated concern over "another anti-Polish incident in the territory of Ukraine." The explosion took place in a hotel parking lot. Polish citizens, including representatives of local authorities, who travelled in this bus stayed unharmed. Local police and prosecutor's office are looking into the circumstances of the incident. The organizer of the trip had the passengers returned to their homeland accompanied by Polish consul in Lviv," Poland's Foreign ministry said. 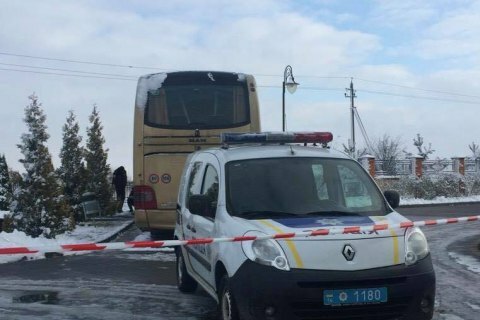 Lviv police in a report said that the blast, perpetrated by unknown individuals damaged the external luggage compartment lining and a side window of the bus with Polish registration plates parked at hotel parking lot near Lviv. Ukrainian Foreign Minister Pavlo Klimkin condemned the provocation and suggested that someone is persistently trying to disrupt the visit of Polish President Andrzej Duda to Ukraine.